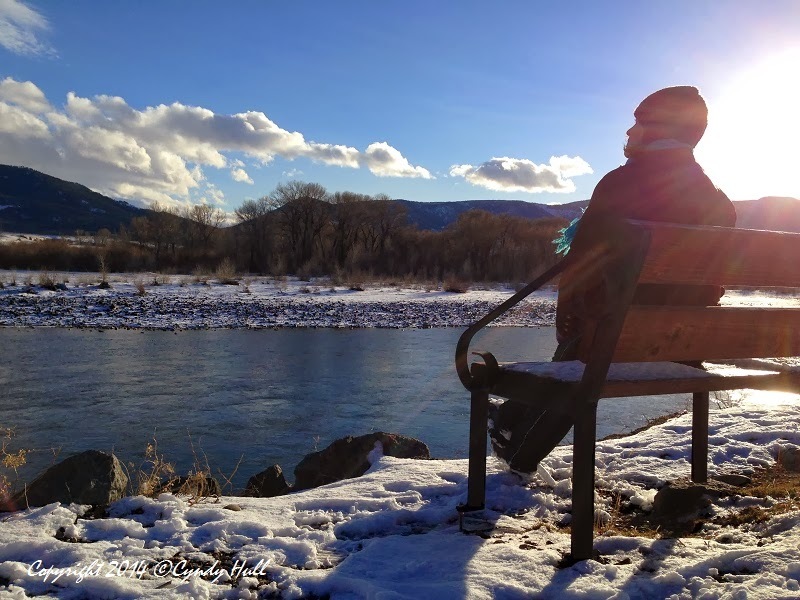 Sacajawea Park’s riverside trail includes several strategically placed benches from which to pause and ponder the lovely views, as demonstrated here by my lovely sibling. I like the "Sainted Sister' Designation. She is truly a blessing.